Bio: Jill Stefani Wagner was born in Port Huron, Michigan. She received a B.F.A. from The University of Michigan School of Art and is senior partner of a successful graphic design firm in Ann Arbor, Michigan. 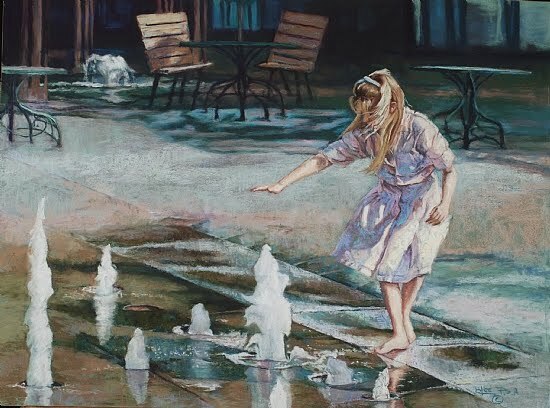 She is a member of the Pastel Society of America, National Watercolor Society, the Michigan Water Color Society, the Great Lakes Pastel Society, the Ann Arbor Women Artists and the Ann Arbor Area Pastelists. The Greater Michigan Art Exhibition awarded her the Excellence in Technique Award in 2004. 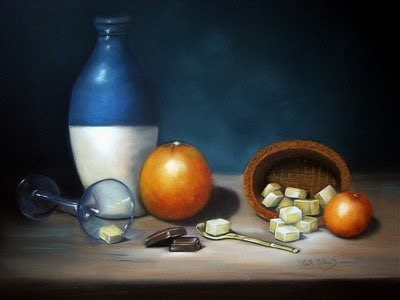 Jill was given two Honorable Mention Awards in the 2009 Pastel 100 Competition, hosted by the Pastel Journal. She has mounted two solo exhibitions and displayed her work in various group shows. Subjects: Landscape; citiscape; figurative. Preferably en plein air. 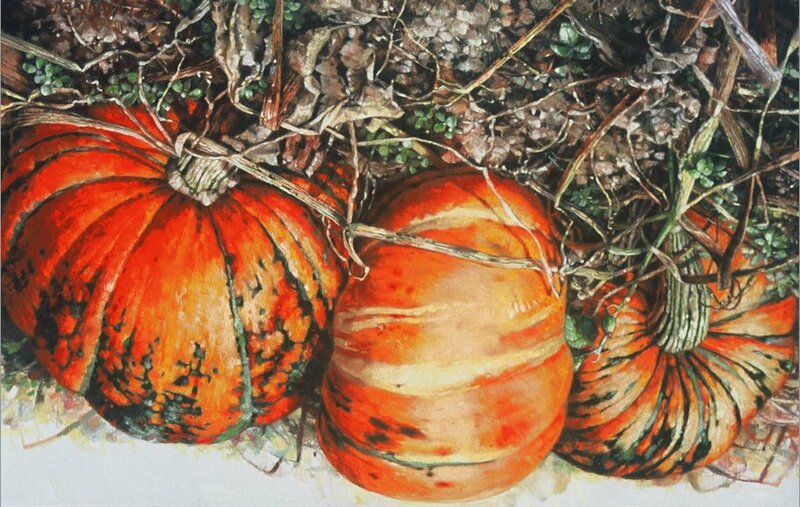 Gallery: Watercolours (eight subgalleries); Pastels (ten subgalleries – Riverstones. Landscapes; Figures; Florals; Architecture; Treescapes; Commissions; Work in Progress (effectively a demo); Animals; Orchard Views); Recent works (thumbnails); Giclées. Image View: All thumbnails will display information on medium and size before opening, when the cursor rests on the thumbnail. This information is displayed as a function of the browser on the bottom left of the screen. The thumbnails open in a pop-up window, where you can run a slideshow, or print the chosen image – but right click is disabled. If you run the slideshow, the series begins with Slide 1, (sub)gallery 1, and not at the slide, or in the particular subgallery, that you have chosen to view. 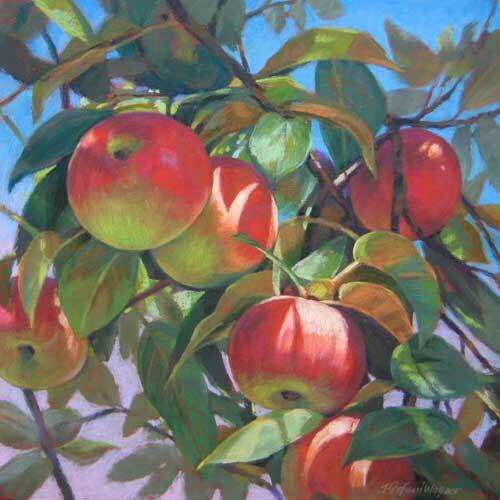 I have chosen one of Jill’s orchard series to cheer me up as winter takes its first bite , but there is much to see and appreciate on this website, and one image goes nowhere near doing it justice. Demo: Yes – see Work in Progress within the Pastel gallery. Bio: Dan Gray's pastels are impressions of the moment. 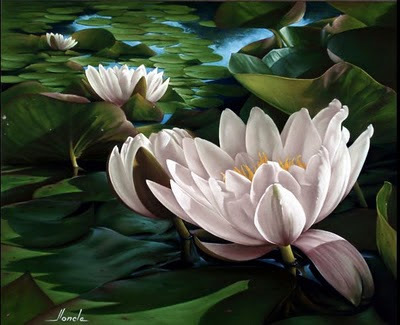 Born in Vancouver B.C., he has worked in soft pastel since 1975. Dan always paints from live models, always en plein air when painting the landscape. Designated a Premier Pastellist of Canada by the Pastel Society of Canada, his awards also include Plaque of Distinction (1990); 1st place Silver Pastel Plate (1994); and the inaugural award for Excellence and Dedication to Pastel (2000). 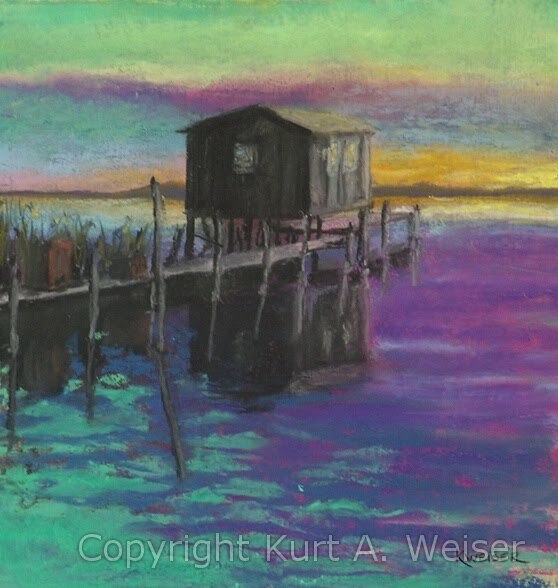 His pastels are published and collected across Canada and internationally. 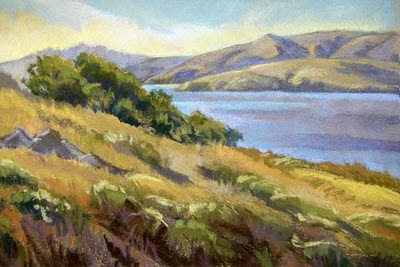 Subjects: Plein air landscape; figurative - Dan has a project to complete 2010 figures in this year of 2010. Navigation: Main menu on side. Some galleries give option to return home; each enlarged thumbnail gives option to return to gallery, or to homepage. Gallery navigation is inconsistent – some galleries are a mixture of enlargements and thumbnails. Gallery: Recent works; Seascapes ’09; Automotive; Pastels of life (nudes); Jazz live; New acrylic works. There are also some other collections of paintings to view as you scroll down the page. Image View: Images are displayed with an overlay of information; download is possible. 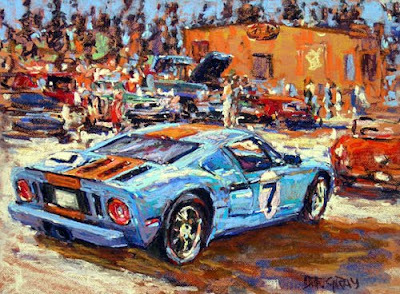 GT 40 is 18 x 24 ins, 500x368, 84.4 KB. Demo: Yes – three separate paintings. Bio: Alain Bellanger was born in 1953, in Châteauroux, Indre, the son of a house painter. Always good at drawing at school, he went on to study architecture and building, which he didn’t enjoy, and then, persuaded against the risks of life as an artist, he joined the Seita company (Societe Nationale d'Exploitation Industrielle des Tabacs et Allumettes was the former French state-owned tobacco monopoly), painting at home at night. 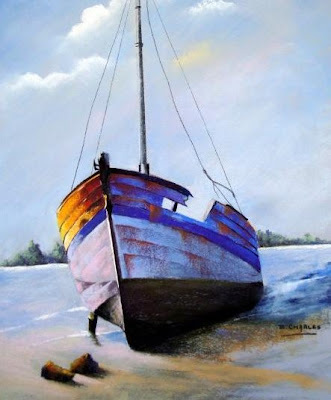 He remained there for 13 years, during which he started start to think about the direction of his life, and to paint. His meeting with Gerard Laplace, a local artist, was the stimulus to devote himself full time to art. Visiting one exhibition after another, painting a variety of subjects - rusty trucks, landscape, academic works - but one auspicious day a pile of crimson beetroot in a field arrested his attention, and led to other paintings of massed vegetables and fruits – ripe pumpkins became a speciality. There were difficult times - at one low point he took up cooking as a potential alternative career. But he settled on the common theme, for which he is now recognized - the vegetable world in general, and Cucurbitaceae in particular. He creates his own method and style, tramping the fields and orchards with his camera, seeking the best colours and exposures. His hundreds of photographs serve as a basis for his studio work. The originality of his style lies partly in his choice of subject – he does not illustrate individual botanical specimens, nor fruits artificially assembled in a formal “still life”, but huge congregations of one kind of plant in its natural state – sunflower crops standing in a field, apples and cherries piled together after picking, windfallen apples lying together in clumps on the grass. Dans une autre vie, Alain Bellanger a peut-être été puceron, doryphore ou limace, une de ces bestioles qui peuplent nos potagers ! Il en aurait gardé l'habitude de regarder les végétaux de très très près, d'avoir pour horizon une forêt de tiges, de feuilles, de légumes ou de fruits. Ce virtuose du pastel est en effet non seulement un amoureux du monde végétal mais aussi un adepte du plan rapproché. Il nous donne à voir la nature à travers des yeux d'insecte. Notre regard explore des enchevêtrements d'épis de maïs, de feuillages tropicaux, de grappes de raisins, de courges, quand ce ne sont pas des amoncellements de bouteilles, de tubes de couleur ou de boîtes de pastel. Navigation: This site is in French but has an English version accessible on the top right of the Welcome page. This gives a selecton of links in English on the left of the page. The link you are most likely to use is the My Artwork link; note that My life in English seems to be an automatic, web-based translation of the original Ma vie and therefore reads a little oddly. I have offered an alternative to M. Bellanger. Gallery: My Artwork (Mon oeuvre). Image View: The gallery page lists a number of sub-gallery options in a set of horizontal thumbnail slideshows, with the number of images in each displayed. Click to select subgallery. Images are displayed with an overlay of information at the bottom, but may not be downloaded. 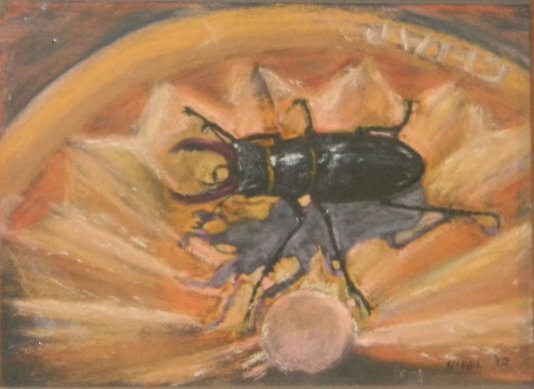 Pastels is 45x74 cm. Bio: Lorenzo Chavez was born in New Mexico in 1959 and has been painting professionally since he was 12. He graduated with honors from the Colorado Institute of Art in 1983. He is now considered by many to be the premier pastel painter of thne American West. He has been the recipient of awards and honors from the Pastel Sociey of America, the C.M. Russell Art Auction, and the Coeur d'Alene Art Auction. 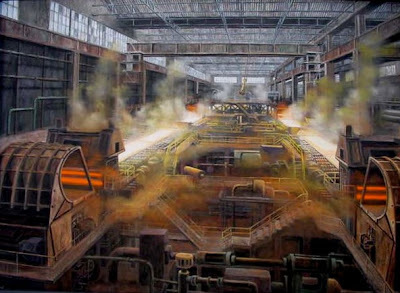 In 2004, his paintings were awarded the Silver Medal of Excellence from the Pastel Journal. 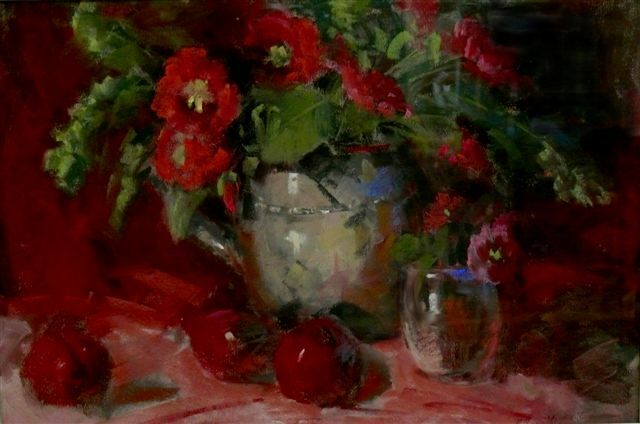 He participates in many prestigious national invitational group exhibitions including the Pastel Society of America in New York. Lorenzo’s work has been featured in Southwest Art, Artists of the West, Art-Talk, The Artist's Magazine, and the Pastel Journal. He is also a sought-after pastel workshop instructor. 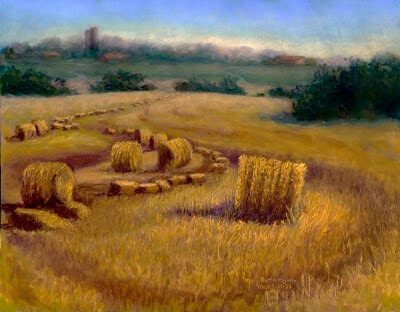 Lorenzo, along with seven other pastel artists, represented Texas in St. Florent-le-Vieil, France, in 2010. 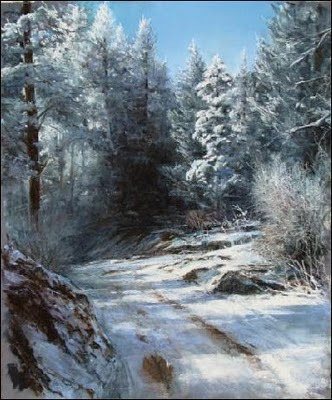 Publications: Three pastel publications feature his works: Pure Color: The Best of Pastel (North Light Books, 2006), Plein Air New Mexico (Richeson, 2006), and Landscapes of Colorado (Fresco Fine Art Publications, 2007). Navigation: Main menu remains on top of screen. Gallery: Available Paintings; Paintings in private collections. Image View: Each gallery consists of a number of thumbnails to one side of a SimpleViewer screen. Clicking on any of the thumbnails brings it up in the viewer, (and you may scroll forward and back) and image information is displayed underneath. Because SimpleViewer is a Flash function download is not possible. (But there’s always the Prt Sc option.) The painting displayed here is Sierra Sunrise, 18 x 24 ins. UPDATE July 2012: The two foregoing pages seem to have been deleted from the Colorado society'swebsite. 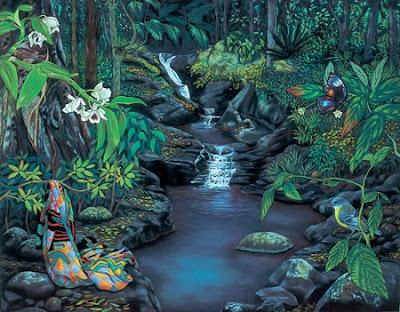 Bio: Chicago born Mary Beth Martin was raised in Indiana and Baton Rouge, Louisiana, where she earned her Bachelor's degree in Fine Arts from Louisiana State University in 1971. As an artist she has been a painter, sculptor, photographer and teacher. 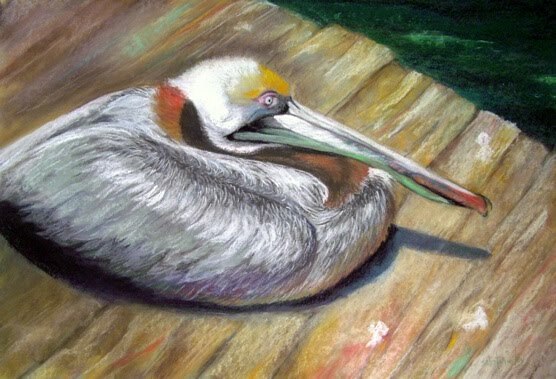 Residing near Austin, Texas, Mary Beth’s wildlife paintings reflect the abundance of birds found in her back yard. 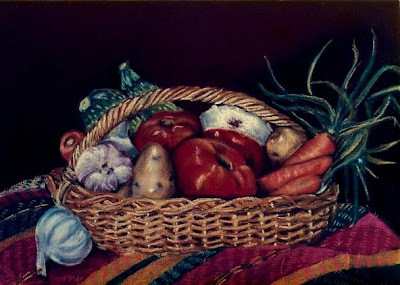 She is a member of the Central Texas Pastel Society, the Williamson County Art Guild, the Capital Art Society, Georgetown Art Works Board and the Austin Pastel Society. Mary Beth Martin is possibly the only artist ever to have been a professional clown. She served as president of the World Clown Association in 1992-1993. She clowned at the Annual White House Easter Egg Roll in 1992, and was a T.V. regular for four years on Buckskin and Friends - one of the longest running kids show in the U.S.
Mary Beth was one of the eight U.S. representatives at the 2010 International Pastel Festival in France. I mistook her husband Mike for Lorenzo Chavez (well, he was wearing a stetson!). Diana Moya has a painting of him in front of the Eiffel Tower on her website - and he's nearly as tall! Gallery: Portraits; Animals; Landscapes and Cityscapes; Flowers and Still Lifes. Image View: The thumbnails open in a slideshow. You can scroll serially, or click on the small thumbnails that run along the top of the slideshow screen. Medium and dimension of the originals is not stated. Download is not only possible, Mary Beth provides a download button! I wanted to show you a portrait called Firedance, as I saw it in St Florent. But I could not get that particular image to load. So I’ve picked a painting that reminds me of the French countryside in the region of Poitou-Charente. French Harvest file size is 800 x 623, 155 KB. Demo: There is a blog page on the website, but not formatted as a blog is currently understood. Bio: Kaye Franklin began her art career in 1975 while living in Pagosa Springs, Colorado. She and her family moved to Graham, Texas in 1979, when she sought out the best art schools and teachers. Franklin studied at the Scottsdale Artist School and with Connecticut artist William Henry Earle. 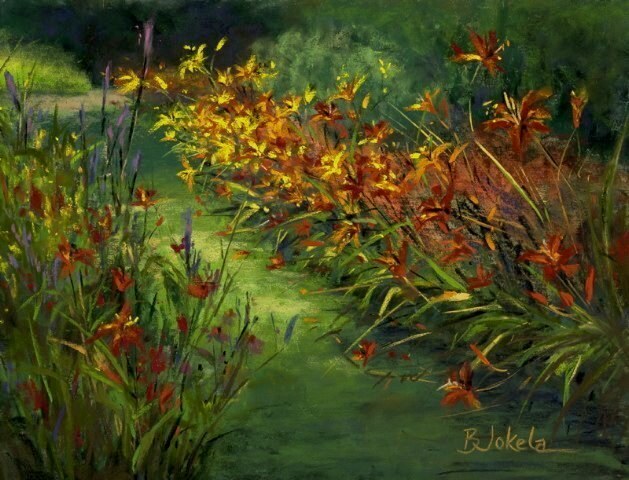 She has received many national awards and is a signature member of the Pastel Society of America and Oil Painters of America. She is a member of New York’s prestigious Salmagundi club. Franklin teaches weekly classes and conducts several workshops at various locations throughout the year. She has held workshops in France, Spain, Italy, and England as well as in the U.S., Mexico and Canada. Her work can be seen at the Victorian Gallery in Dallas, Texas and Zantman Gallery in Ketchum, Idaho. 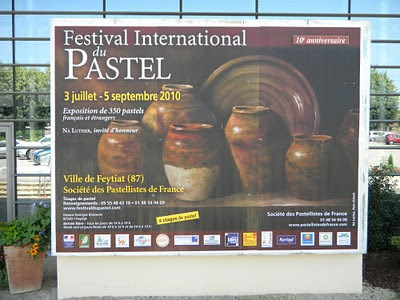 Kaye was one of the eight U.S. representatives at the 2010 International Pastel Festival in France. Gallery: Landscapes; Figures and Portraits; Still Life; Archives. 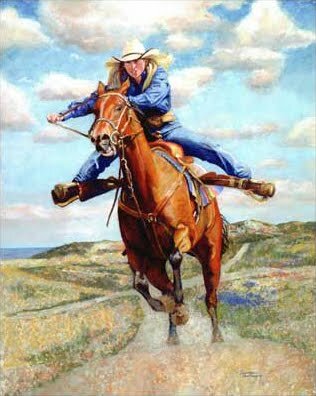 Bio: Award-winning portrait artist D. K. Richardson has been painting for some 46 years now. 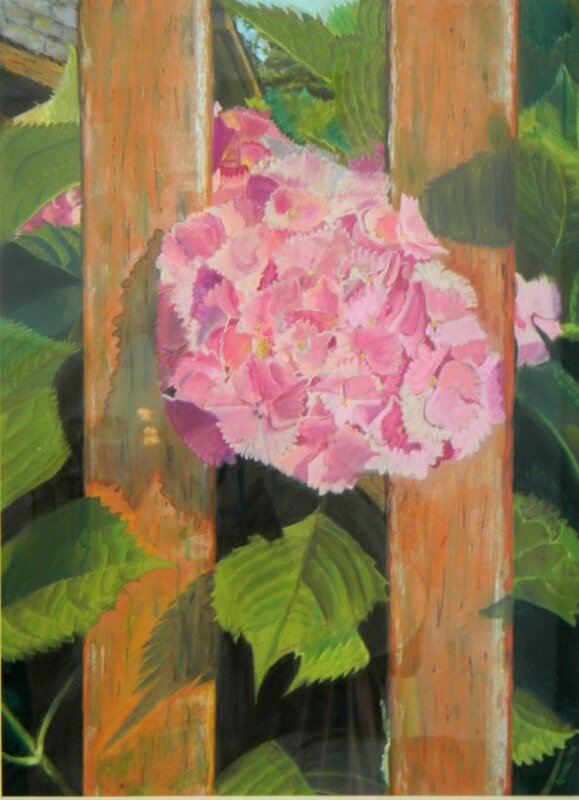 A Texan native, Debra studied art at Abilene Christian University in Abilene, Texas. 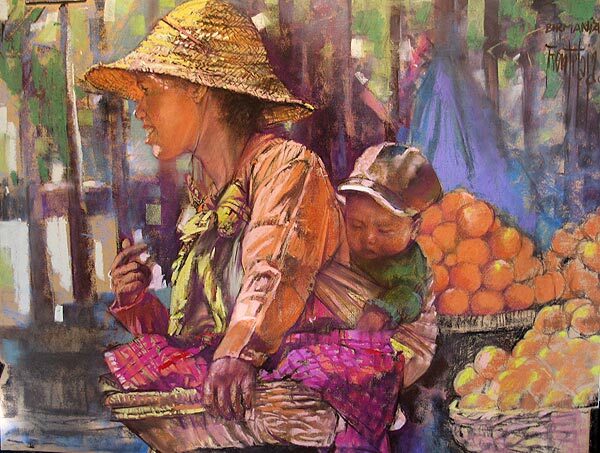 She is a Member of the Austin Pastel Society, the Portrait Society of America and the Cecelia Beaux Forum. Debra was one of the eight U.S. representatives at the 2010 International Pastel Festival in France. She lives in Austin, Texas. Style: At once classical and contemporary. Gallery: Portrait Gallery; Still Life Gallery. Image View: The thumbnails open in a slideshow that allows forward and reverse scrolling through the enlargements. Medium and dimension of the originals is stated. Download is not possible. The only criticism that may be made of Debra’s website is that there are too few examples of her excellent work on display. You will wish for more. I chose Camisa blanca as I saw it in France this summer “in the flesh” and was lost in admiration. The painting is 10 x 20 ins. 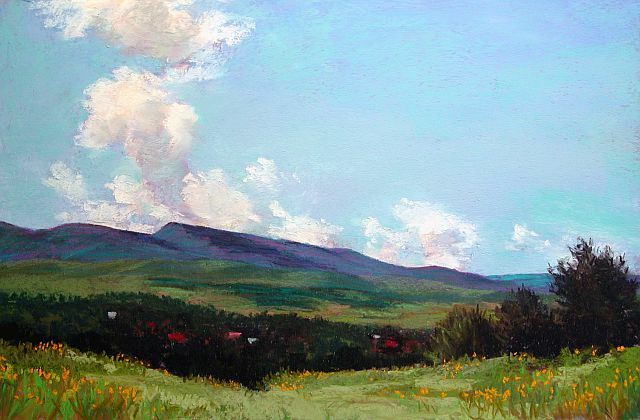 Bio: Susan Carlin is primarily a portrait painter who maintains a studio and gallery in San Antonio, Texas, where she gives free online painting demonstrations each week. The Nueva Street Gallery is located in the historic arts village, La Villita, along the Riverwalk, downtown San Antonio, in a house built in 1891. Rather than my giving the usual precis of the artist’s milestones, you should just go directly to Susan’s website, where she expresses herself with a wry humour that trumps anything I might say. I met Susan at the 2010 International Pastel Festival in France, where she was one of the eight representatives that did the U.S proud. Medium: Pastel, oil, acrylic, watercolour. Subjects: Portraits, Still life, Landscapes, Figurative, Animals. Navigation: Main menu remains on bottom of screen, with gallery menu on top. Gallery: Portraits; Painting; Figures; Nature; Pets. Bio: Sue graduated with a Bachelor of Science in Education and a minor in Art and Art History from the University of Vermont. She has studied with Richard McKinley; Judith Carducci; Desmond O’Hagan; Claudia Seymour; Denise Mahlke; Qiang-Huang; William Kalwick, Jr.; Carole Barnes; Joe Fettingis; and Don Andrews. She is a member of Austin Pastel Society, Central Texas Pastel Society, Texas Pastel Society, Capitol Art Society, A Group of Five, and Austin Visual Arts Association, and has served on the boards of several of these organizations. She is an Honorary Member of the Société des Pastellistes de France. 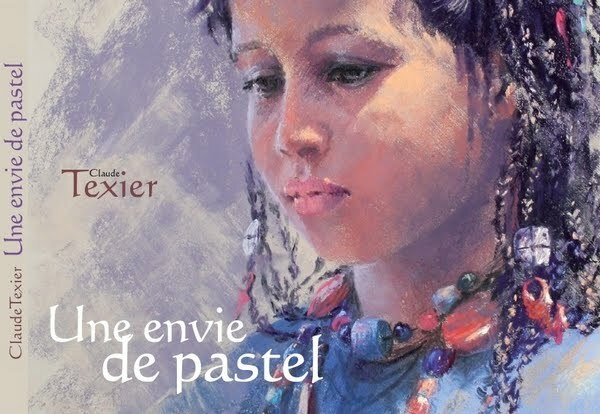 In 2010, Sue was invited to show her pastels in two separate exhibitions, the Festival International du Pastel at Feytiat near Limoges, and the Deuxième Congrès Européen du Pastel in St. Florent-le-Vieil, where I had the great pleasure of meeting Sue and her fellow Texans. Sue lives in Austin, Texas. Subjects: Floral, Still life, Landscapes, Figurative, Animals. 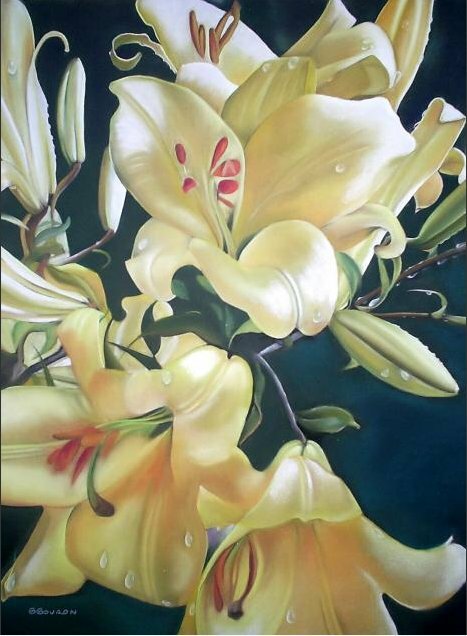 Gallery: Florals and Still Life; Landscapes; Figurative and Portrait; Animals; Abstract Expression. Bio: Diana Moya was born in Venezuela, and moved to the United States, to New England, in 1976. Her formal education is in architecture and interior design; she studied Fine Art in Mexico City, where her art career began in 1989. Since then she has exhibited in many solo and group shows, including France in 2010, where she was inducted as the Ambassador in America of the Societé des Pastellistes de France. In this role Diana will issue invitations to American pastel artists to participate in the 2011 International Festival du Pastel in Feytiat (July 2- August 21, 2011), Les Estivales Internationales du Pastel at the Abbaye de Saint Florent-le-Vieil (July 9-August 28, 2011) and the Salon International du Pastel in the Abbaye de Tournus, Bourgogne, France (September 10-October 9, 2011). Diana has lived in Frisco, Texas since 1992. Gallery: One page of 28 images. Bio: Deborah Secor was born September 7, 1950. She graduated with an honors Bachelor of Arts Degree in Fine Arts (printmaking), from California State College, Bakersfield, in 1979. She soon began showing her landscapes in Old Town, Albuquerque. Deborah finally made the move to New Mexico in 1981. Her eventual decision to devote herself to soft pastels led to workshops with Albert Handell, who became her mentor for seven years. 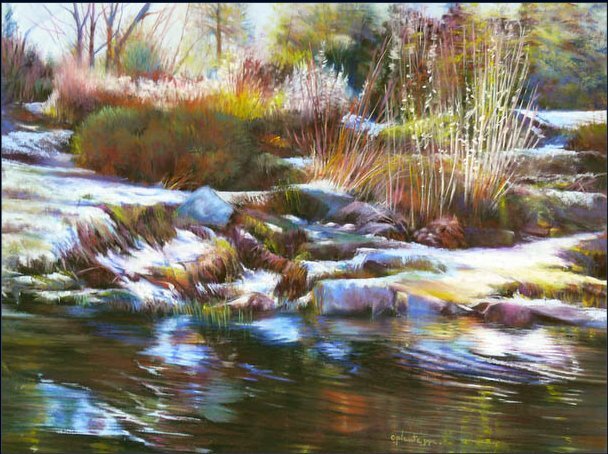 She started teaching pastel painting to adult students in 1989 and also founded The Pastel Society of New Mexico. In March 1999 when two of her friends and former students, Janie Hutchinson and Maggie Price, decided to produce a magazine, The Pastel Journal, Deborah joined the team as a writer. She continues to write for the current parent company, F+W Media. Her articles and interviews may be seen in The Artist’s Magazine and Watercolor Artist, as well as in The Pastel Journal. Publications: Numerous articles, as above; 2007, Contributor to Painting with Pastels by Maggie Price. Navigation: Main menu remains to left of screen. Gallery: Click on Paintings to find four galleries: Landscapes (currently 32 images); Animals, Various (24 images), Gouache (32 images). Image View: The thumbnails all give indication of painting size as a tooltip. They enlarge in a new pop-up window, from where they may be downloaded. You may scroll through the enlarged images in clusters of six that correspond to a horizontal line of six thumbnails. 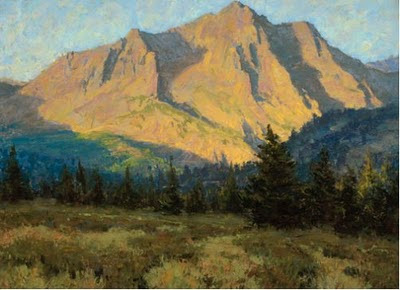 Mountain Morning is 12x18 ins., 640 x 420, 59 KB. Bio: Born in Nancy in 1954, Annick Vallenet currently lives in the French region of Poitou-Charente, in the departement of Vienne. She has been working in pastel for about ten years now. In a recent post I mentioned the July painting festival in Magné. 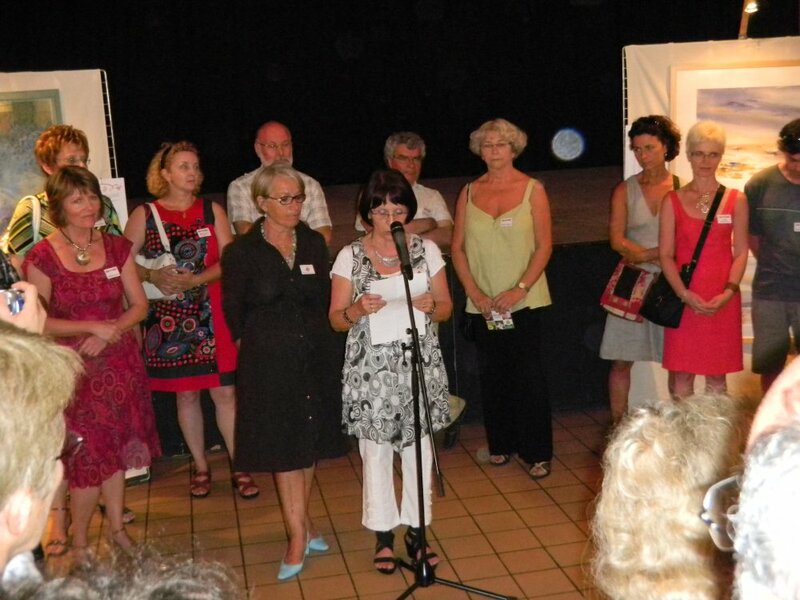 Well, Annick was a prizewinner in 2010, as well as in the Puybeliard street-painters competition in early June. Annick runs an art materials shop in Couhé (Arts and Deco, 57 Grand’Rue) where you can find Sennelier cheek by jowl with Schmincke, Girault, Derwent, Conté, Raphael etc. Style: Representational, in a loose painterly style. Gallery: Click on Galeries for Cirque (circus) ; Croquis (sketches); Nouveau Paysages (recent landscapes); Nouveaux Portraits (recent portraits) ; Anciens Portraits (previous portraits ; Anciens Paysages (previous landscapes) ; Nature Morte (still life). One can navigate between galleries using a drop-down list. Image View: Each gallery consists of a number of thumbnails; clicking on one of these enlarges it on a new webpage with the rest of the thumbnails running along underneath. There is no information on image size. Clicking on diaporama starts a slide show. There is a retour (back) button. Clicking on an enlarged image moves it on to the next in line. Right click for image download is not possible. (But there’s always the Prt Sc option.) The painting displayed here is the prizewinner at Magné. On February 27th 2010 I posted a note on Deborah Secor's book, Landscape Painting in Pastel, that she was writing on-line and making available for free download to any interested party - i.e. the whole pastel community! Well, Deborah signed off on the last post, Chapter 35, on Friday October 15th. I would like to offer a sincere "thank you" to Deborah for her persistence and commitment, and for her generosity in sharing her knowledge and experience with everyone. If you have not visited the blog yet, get ye up and hence! Subjects: Landscape; floral; still life. Gallery: There are three galleries; you can’t navigate from one to another, but must return to Galerie link. Image View: The images enlarge in a new pop-up window. There is no indication of the size of the original painting. Orange Liqueur is 788 x 591, 71 KB. Navigation: Main menu remains on top of screen. Navigation from gallery to image and back is easy. Gallery: Click on thumbnail images on home page, of which there are some 92. Image View: The images, enlarged in a new window, give information on medium and size.. They will enlarge further if clicked again – this is a “zoom” function and I think the image is either cropped or distorted by this feature. For instance, Crab Shack is 8 x 8 ins, but the zoomed image (above) is certainly not square at at 558 x 588, 123 KB. Bio: Isabelle is a Singapore artist currently living in Hong Kong. Primarily self-taught in drawing and painting, Isabelle formalised her art education through the Open College of the Arts, a fine art correspondence institution based in United Kingdom under the tutelage of Edward Phelps. She received the residency fellowship at Vermont Studio Center, U.S.A. in 2001 and 2008 and attended other intensive courses and workshop in U.K., France, Australia and Indonesia. Nu Nanthapa Cooper, an artist and author has influenced her watercolor technique and Teguh Ostenrik, an Indonesian artist, taught her the fundamentals of figure drawing. 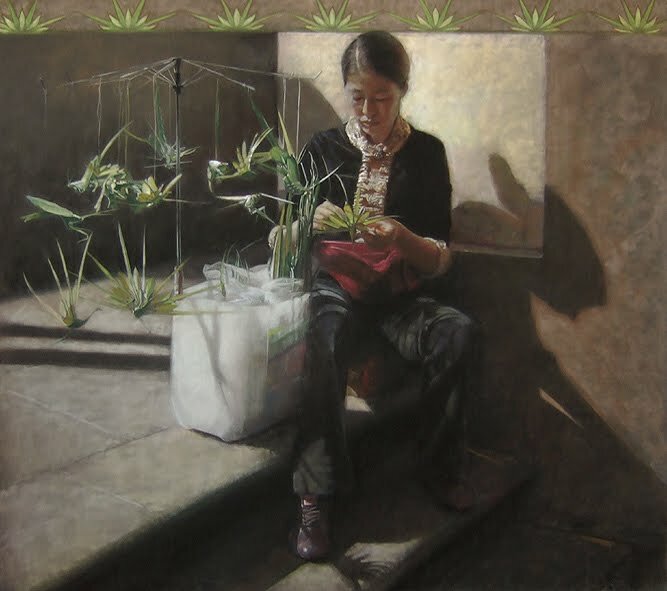 The diverse subjects she chooses to paint are based largely Asian art and culture. She is particularly intrigued by the costumes, head-dress and especially hand-embroidered shoes worn by Chinese women and children. She sees these costumes are artworks in themselves. These folk subjects have led her to develop paintings in series. 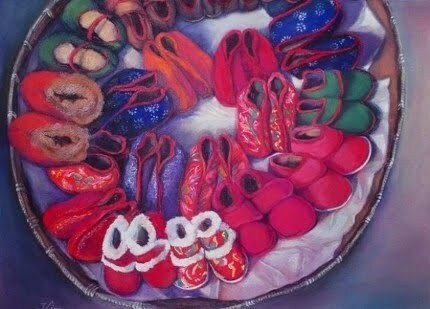 In the series Journey the tiny shoes are delicately rendered in both soft pastel and watercolor. The portraits of Chinese and Asian ladies are painted from her numerous trips made around China and Asia. She has a special interest in their specific tribal identities such as the ethnic textiles, costumes, head-dress and the jewellery.Recent series depict gold fish in plastic bags, and ceramic wares. She drew inspiration from the busy environment in Hong Kong and the frequent visits to the aquarium and antique markets. Isabelle has done many exhibitions in Indonesia, Singapore and Hong Kong as well as juried shows in the U.S.A. She is a Signature Member of Pastel Society of America. In 2008, the featured pastel A Journey West (II) was awarded the Joyce Kelly Memorial Purchase Award at the 12th Biennial National Exhibition ( 2008 ) hosted by the Degas Pastel Society, Lauren Rogers Museum of Arts in Mississippi. Navigation: Main menu remains at left of screen. This is a FineArtStudioOnline website. Gallery: Click on Paintings to view the galleries: New Work ( four each watercolor and pastel at time of writing. Presumably this updates regularly); Pastels (33 images over 2 pages); Watercolor (20 images over 2 pages); Hong Kong Residents (10 pastels and one watercolour). Image View: The thumbnails give information on medium and size as a tooltip when you rest the cursor on them. Each enlarges in a new window, with further information on the work under the image. They will enlarge again if clicked, and download is permitted (but of course there is a copyright statement). You can scroll through the enlargements at any point. A Journey West (II) is 14.5 x 20 ins, 97.6 KB. I thought that might catch your attention. While I been taking a long break from this blog (but gathering material all the while) the number of visitors has been steadily increasing. It is time to resume normal service! I have had an enriching experience in France during the summer. 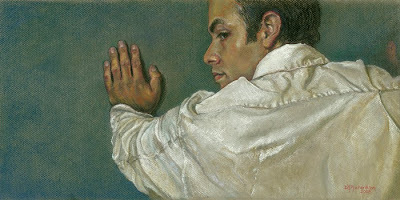 I have visited a number of astonishing pastel exhibitions, met some very fine artists, and even painted a little myself. I have not had easy access to the Internet, hence the hiatus; I am even now waiting on a new broadband connection, so I'll keep this brief. But may I say thank you, merci beaucoup, to all who have been in touch with me and have drawn my attention to artists and websites that I missed to date. The following artists have been added to the list of websites awaiting review, and will be found there until featured: Claude Bauret-Allard, Cynthia Blair, Eric Wilson, François Barbâtre, Jean-Charles Peyrouny, Karen Watson, Kathleen Galligan, Marie-Elise Larène, Michael Norman, Michel Jaillet, Montse Valdes, Nicole Clément, Nicole Vasseur, Patrice Bourdin, Paul Billard, Paul Dumestre, Philippe Janin, Siddick Nuckcheddy, Valerie Dinelli, Lorenzo Rappelli, Lynn Morgan, Kurt Weiser, Isabelle V Lim. And finally, a bouquet of hydrangea blossoms for my followers. An art exhibition that has more than 350 pastels on display is my idea of heaven. The sheer beauty of the current show at Feytiat, on the eastern outskirts of Limoges, is breathtaking. The quality of the work, the variety of approach, the international dimension, all add to the humbling experience. There is a goodly contingent from Texas this year, as well as artists from the Netherlands, Japan, Switzerland, the UK- and from the host country, France. Apart from the paintings themselves, the French Pastel Society has mounted a dozen or so exhibits from a number of the invited artists that demonstrate their approach to composing and finishing a painting. These alone make the trip worthwhile for the amateur who is keen to learn. It is impossible to do justice to all artists represented without listing and commenting on all. I will confine myself to remarking that the guest of honour, Na Luther, is undoubted worthy of this recognition. 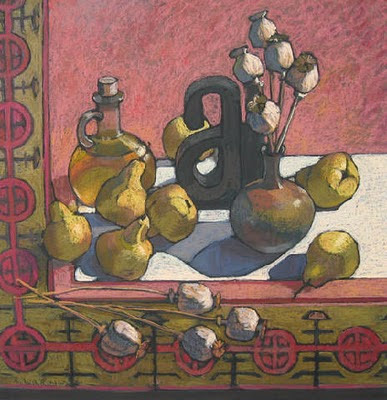 His spare, restrained pastels, often in series, representing the ulilitarian objects of everyday life - dishes, unbound books, pottery - reveal an oriental point of view that can only be innate; the Zen of pastels seems too trite a phrase, but certainly his treatment of pottery recalled immediately for me the equally restrained beauty of the pottery of Bernard Leach. Na Luther - from Laos to the Lot valley. I also want to take the opportunity to congratulate Jean-Claude Baumier on his very recent recognition as Maitre Pastelliste by the French Pastel Society. 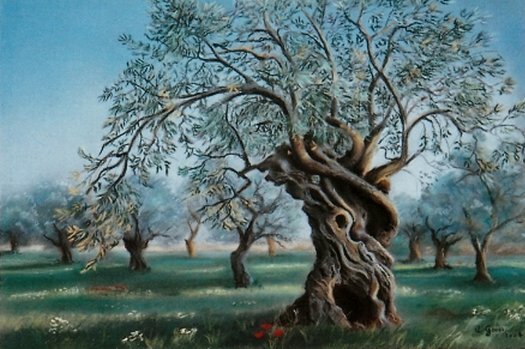 Baumier's ethereal landscapes are woven from pastel and poetry, colour and imagination, misty mornings on the Sologne, and are very beautiful indeed. I know that I said I was taking a break for the summer, and in fact I won't be reviewing any websites for the moment. However, if you happen to be in France between now and September, you should try to visit St. Gelais, near Niort, Deux Sevres, from now until July 14 (Bonjour M. Breton - j'aime bien vos hortensias bleus! 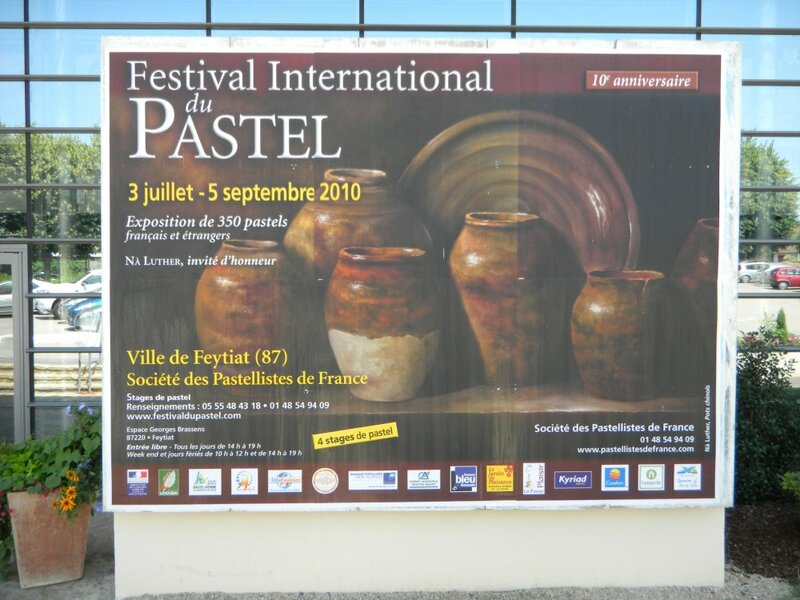 ); Feytiat, near Limoges, until September 5th; and Saint-Florent-le-Vieil, near Nantes, until September 12th; to see a masterly display of some of the best French and international pastels. And there are other exhibitions. If you can find a copy of the out-of-series Pastel issue of the French magazine Pratique des Arts, you will find a comprehensive list of summer shows, including a slew of exhibitions in Brittany. The magazine also contains features on Jean-Francois le Saint, Michael Norman, Nathalie Picoulet, Claude Texier, Penelope Milner, Philippe Janin, Cynthia Blair, Claude Bauret-Allard, Marie-Elise Larene, Serguei Oussik.....even if you don't speak French, the illustrations speak for themselves. 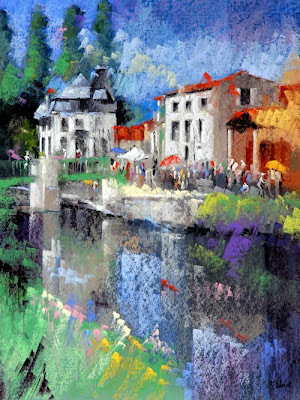 By the way, Marie-Pierre Le Sellin has an exhibition of acrylics and pastels in Magné, in the Marais Poitevin, from August 5th to 18th at the Four Pontet, from 10.00 a.m. to 6.30 p.m. each day. You may have noticed a strong French bias in the last few posts. This is entirely intentional, and reflects my interest in French pastellists, the fact that France has provided me with the greatest number of visitors after the USA, and also because I hope to attend some of the numerous pastel conferences in France this summer. The blog will therefore be taking a summer break. There is surely enough material to keep the keenest surfer occupied for some time. Venez me dire bonjour, se serrer la main à Feytiat, à St. Gelais, même à Clussais la Pommeraie! Bio: Jean-Noël Loncle was born 1966, and lives in Tréméloir, department Côtes-d'Armor, Britanny. Trained at the Atelier d’Arts Plastiques d’Hillion then in Pastels at Carré d’Art, Binic. He has been associated variously with publicity for Vintage Cars, and rugby, and has been a prizewinner in numerous French pastel conferences. Subjects: Still Life; Nature; Landscape. Navigation: This website is a French blog. It is replete with irritating and intrusive advertisements. A knowledge of French is useful here as for reasons of practicality I cannot translate all the posts. Image View: The posted images will enlarge if clicked, but download seems to be disabled. Resort to Alt, Prt Sc in this instance, to get only the pop-up. You will still need to crop the result. Demo: Look under pas à pas (step by step. ).